Our programme features dynamic speakers with illuminating cultural perspectives interspersed with panel discussions and the strong voice of young people throughout the day. The conference brings together a wide range of people who work with young people - youth workers, educators, mentors, mentor programme providers, government agencies and community workers - to learn about and debate important national issues in the youth development / youth mentoring sector. 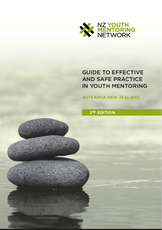 We are looking forward to sharing the newly published 2nd Edition of the Guide to Effective and Safe Practice in Youth Mentoring, Aotearoa New Zealand with you at the conference. The first edition, published in 2008, was a benchmark document that drew together essential knowledge for New Zealand’s emerging youth mentoring sector. The 2nd edition has been refreshed and updated with the latest research in effective youth mentoring practice, and the new safety checking and child protection policy guidelines introduced as part of the Vulnerable Children’s Act 2014. Our aim, in producing the 2nd edition is to provide a single Guide for New Zealand that seamlessly promotes safe and effective practice in youth mentoring to help ensure positive outcomes for young people. In the lead-up to the conference we are profiling our keynote speakers. Today we are delighted to introduce Michael Moka and Murray Edridge. Michael is the young and engaging founder of Indigenous Growth Limited - a new organisation with a quadruple bottom line - which feeds his passion to empower families like his to get themselves out of the poverty cycle. Since 2005 he has chosen a specialised path dedicated to this goal. Indigenous Growth takes a culturally diverse approach, building their people from the grassroots level to provide a more diverse and profitable culture for all organisations. He is hoping to provide some insights on how we can enhance the well being of our youth so they can have the Mana (Power and Authority) to achieve their goals. In this role Murray oversees the Ministry’s purchasing of social services for vulnerable children, young people and adults, as well as moving the social sector to a results-focused and evidence-based purchasing strategy. 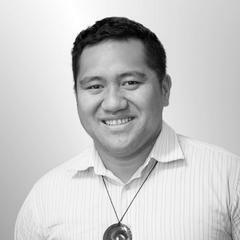 He leads programmes of work to strengthen the Ministry’s working relationships with communities, including Māori and Pasifika, and building capability in the social sector generally. What working for the Ministry means to Murray - "It’s exciting and extremely motivating to be working for the Ministry at a time when there is a strong mandate to change the way we engage with the wider social sector. For me, it’s about working in partnership with our communities and community providers to put the people we are all here for at the centre of everything we do. Every community has different needs and priorities, so I am committed to working transparently, flexibly, and alongside those who know their communities best, to tangibly improve outcomes for our most vulnerable people. Murray has a wealth of experience in the community sector, both in a professional and personal capacity. 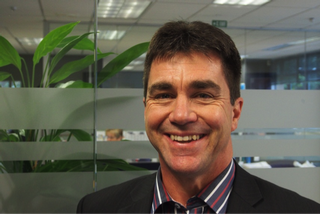 Prior to joining MSD, Murray spent eight years as Chief Executive Officer of Barnardos New Zealand. He has also held senior positions at Radio New Zealand and the Open Polytechnic, as well as in the electricity and gas distribution and retail sectors. We look forward to seeing many of you at our special one day conference.